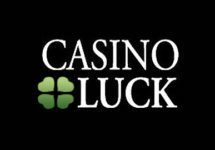 Win a share of €2,500! 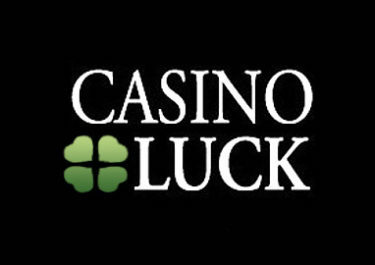 All players at Casino Luck, NextCasino and WildSlots are invited to a thrilling marathon race on the Live Blackjack tables with the last three survivors taking home a share of €2,500 in cash. Play day after day to set the record for the longest consecutive playing streak and be crowned the champion. Miss a day and you’ll fall out of the running. Up for a marathon challenge that will test your survivor skills to the maximum? Got the stamina to get through an indefinite playing streak? 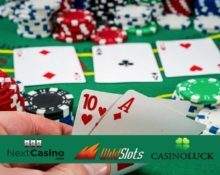 Then take part in the Live Blackjack tournament at any of three Minotauro brands – Casino Luck, Next Casino or WildSlots – and you could be crowned to winner with a massive first prize of €1,250 in cash. Play on any Live Blackjack table to qualify. Players must start their consecutive streak from the first day of the promotion, 26th April 2018, and must play consecutively for a minimum of 14 days in order to be able to take part. Minimum daily wagering of €/£/$ 100 is required to be eligible for the promotion. Terms and conditions apply. The player who makes enough daily bets on any Live Blackjack table for the longest period of consecutive days starting 26th April 2018 will be crowned the champion and will win the cash prize of $/€ 1,250. Runners up will be awarded prizes as following: 2nd place – $/€ 750 cash, 3rd place – $/€ 500 cash.